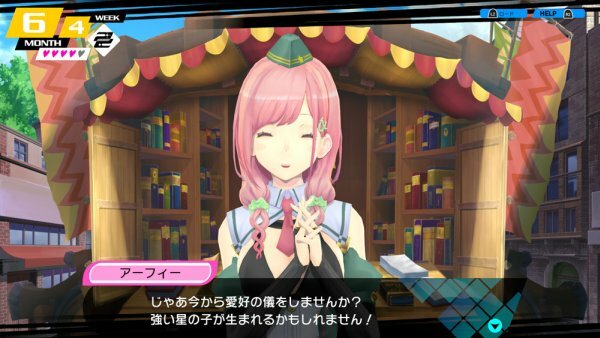 Developer, Spike Chunsoft revealed more information about Arfie, a new character appearing in the remaster of the former PSP installment of Conception. In Conception Plus: Ore no Kodomo wo Undekure, one of the people you will be able to work alongside is Arfie, The Serpent Star Maiden with a deceptively easy-going demeanor. Alfie gets serious when it comes to training the Star Children, and she can comes across as strict, with a goal in mind. Alfie is tasked with defending and training the Star Children at day care, while she attempts to unlock the hidden power to become a Shrine Maiden. This is fitting, as she actually once was a Star Child. An experiment has allowed her to become The Serpent Star Maiden. Additionally, you’ll be able to engage in “Double Love Ceremonies” with heroines, in which you can produce even more powerful Star Children. Do keep in mind, you must strengthen your bonds with the Star Maidens in order to unlock this form of Star Child creation. The resulting warriors will be stronger than usual and may even have a twin. If you’re unfamiliar with the new game itself, it’s a remaster of the JRPG, Conception: Ore no Kodomo wo Undekure for the PSP. which released in 2012. The original never released in North America and this one may follow suit, as it’s only scheduled for a release in Japan at this time. We’ll be sure to keep you updated if this changes. Its sequel, Conception II: Children of the Seven Stars did release in the states in 2013 and made our list of weird Vita games worth playing. For now, you can look forward to Conception Plus: Ore no Kodomo wo Undekure, as it’s set for release on January 31st, 2019 for PS4 in Japan.